My PC is over three years old. It creaked during the last Total War, groaned playing Assassin’s Creed Origins. Yet Far Cry 5, a brand new modern gorgeous open world shooter, runs like a dream even on ultra settings. Which is my personal anecdote, and is wonderful news for me, but for the sake of science there are people with a lot more graphics cards in their office than I do who have really put the game through its paces, and found much the same thing. There haven’t been any huge changes under the hood here; this is still the same Dunia engine (with some advances, of course) that has been used in the last few Far Cry games. And it’s not like you’re able to get these results after a load of tinkering with settings, either, since the customisation options in the game are fairly limited. It’s just...optimised really, really well. Remember how Far Cry 5 was supposed to be out in February, only to be delayed until the end of this month? Turns out that an extra few weeks polish can do wonders. It wasn’t too long ago that we used to mock the performance of Ubisoft games on PC, especially at launch. 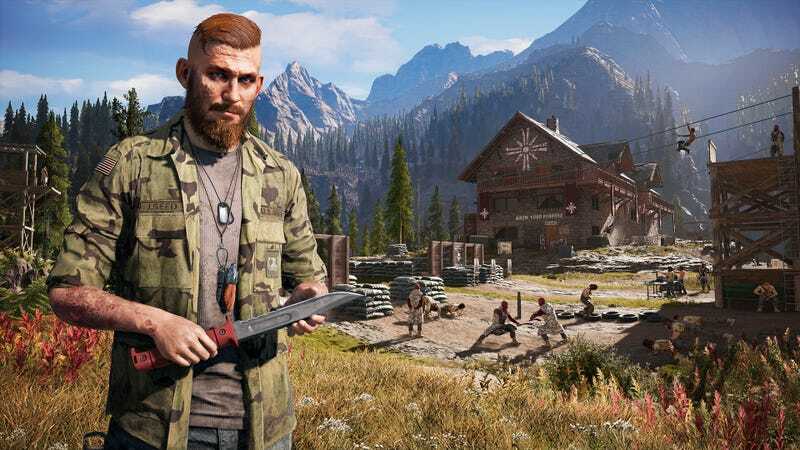 For Far Cry 5 to be running so well straight out the gates is one of this year’s more pleasant surprises, at least for those of us getting by on older hardware.